Does Facebook Work for B2B Lead Generation? Hell Yes! To the folks out there who say that Facebook is not an effective lead generation tool for B2B, I will tell them that they need a new strategy. Facebook boasts the largest user base of any social network and it’s essential that you have a presence here or your business will simply be missing opportunities. Over the past few months I have been experimenting with different types of ads, new content, eye catching visuals, and tracking my success using Marketo and Facebook insights. What I have found out is that in order to have success, you need a perfect storm of content and tactics. In the data below you can see that in August I ran only standard Facebook ads along with a few promoted posts. In September I began focusing more on Promoted Posts in addition to standard ads and the number of targets went up while cost per target went down. 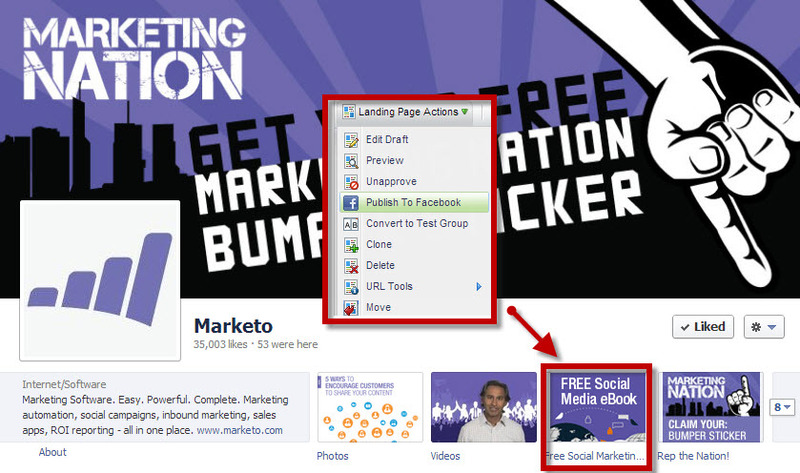 In October Marketo released the Definitive Guide to Social Marketing and I added more budget into standard Facebook ads to promote it. As you can see, the cost went up along with cost per target. In November I put a heavy emphasis on Sponsored Stories and utilizing Marketo’s new publish a landing page to Facebook feature, and launched a new custom Facebook app. Focusing less on standard Facebook ads and mixing it up with engaging apps and running promoted posts around our custom Facebook tabs, we were able to generate a record number of targets at a cost per under $7.00. 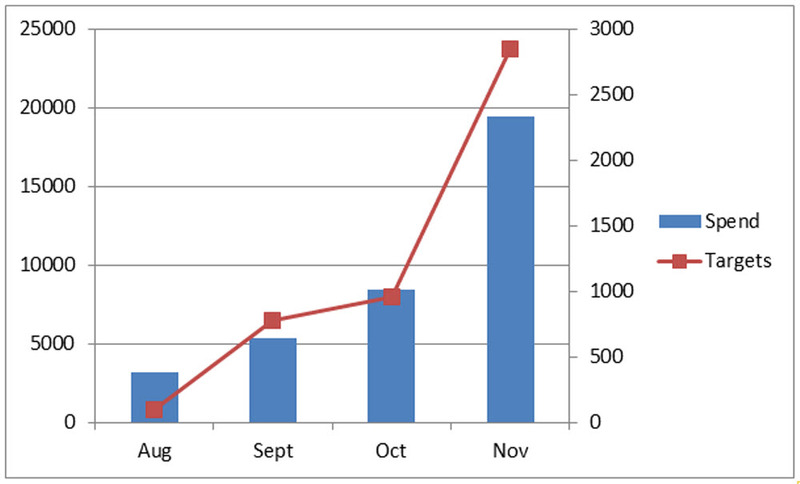 Facebook is now our number one program for generating targets for the month of November. What’s the takeaway here? If you have limited budget, focus on Promoted posts and Sponsored Stories. The fact that we used these types of ads around our Marketo landing pages within Facebook gave us even a higher boost in engagement. I think this is because we were keeping folks within Facebook instead of sending them to an external landing page. Here is the hard data. We are not even finished with the month of November, and you can clearly see how the inclusion of custom Facebook tabs, promoted posts, and Sponsored Stories are clearly the winners for driving both engagement and prospects. Here are a few tips for success in using the tactics mentioned above. Content is still king. The reason that these ads work is because they are promoting your good content. Peer to peer recommendations and sharing are powerful tools. Sponsored stories and promoted posts get your content into the newsfeed and make it easy to share. Wittiness is terribly underrated. B2B marketers like to have fun too. They are not on Facebook to be sold to. Entertain them a bit, and then tie it back to something useful. Experiment with your ad combinations and try new things. It’s all about trial and error in the world of social. Figure out what your target audience engages with, then amplify it and do more. Now it’s your turn. The strategy that I use here at Marketo can easily be replicated and customized for both B2B and B2C companies. It’s all about how much time and effort you really have to invest. For more information and details around how we use social media for inbound marketing, check out our brand new ebook How to Optimize Social Media for Lead Generation.